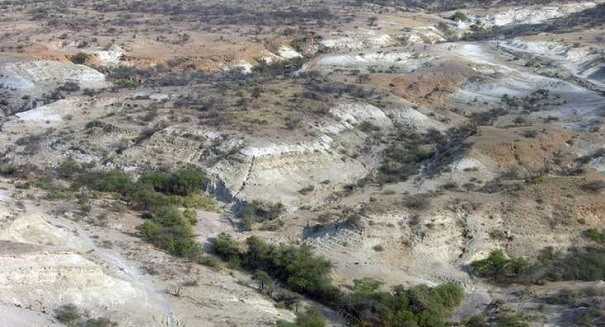 Scientists have discovered stone tools in the Olorgesailie Basin in Kenya, pictured here, that have big implications for mankind. Scientists had long thought that at around 40,000 to 50,000 years ago there was a “human revolution” of sorts during which mankind suddenly took on more modern behaviors like innovation and art, which may have then led to things like complex languages. But an astonishing new study examines evidence from the Olorgesailie Basin in Kenya that suggests this happened much, much earlier. They have found some pretty innovative tools in that area, and the age of those tools goes way, way past 50,000 years mark, so the discovery came as a complete surprise to scientists. Tools dating back to around 320,000 years were smaller, sharper, and more refined than the primitive tools made by their ancestors. And the fact that they found tools that old suggests that early humans may have been making them even earlier. Rather than crude primitive tools, these appear to be tools one would expect to find in the Middle Stone Age. They even appear to have specific techniques to prepare and retouch the tools.